Jerry Trimble Helicopters is pleased to offer vertical reference and external load training in the Robinson R-22, R-44, and R-66. Training will be given by high time pilots with many hours of real world long line experience. Our instructors have worked for operators such as Erickson and HTS. Students will start out with vertical reference training and transition to external load operations. Line length will vary from 50′ – 200′. The basic long line course will consist of 10 hours of flight and ground instruction in the R-44. The cost for the basic course is $7,000. The package price also includes housing, PDX transfers and course materials. Training can also be customized to the needs of the student. Call Alison for details at +1 (503) 577-6371. Students required to arrive prepared with helmet, boots, and gloves. Now offering Touchdown Autorotation Training at your location. Would you like to have the best touchdown autorotation training available but can’t come to McMinnville, Oregon? Now, Jerry Trimble will come to you. JTH offers a 1 or 2 day autorotation training program customized to your needs. Contact us for details. We have a special “Blow the Rust Off” package for touchdown autorotation practice. This package includes two lessons lasting .9 each. The first lesson you will practice normal, hovering, and 180° autos with one of our instructors or, schedule permitting, with Jerry. The next lesson you will fly with Jerry and work on touchdown autorotations. The package also includes 1.0 hour of ground training. Pilot will also receive a complimentary JTH article of clothing (excluding jacket). 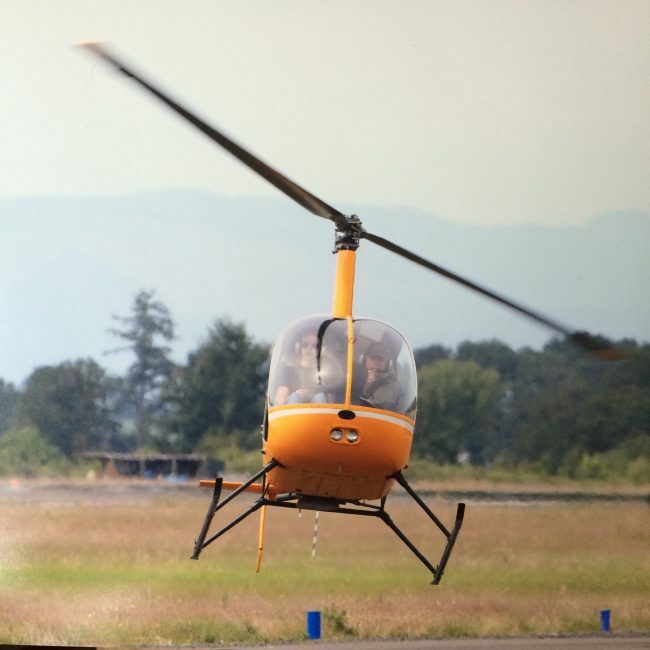 Students at Jerry Trimble Helicopters learn to fly in either a Robinson R22 or R44. These Robinson models are perfect for learning the basics of flying a helicopter. In order to become a more experienced, commercially marketable pilot, students may choose to obtain turbine helicopter experience. In order to help student pilots transition from piston engine helicopters to turbine helicopters, JTH has developed an intensive helicopter turbine transition course. On the ground, our turbine transition training course includes: a thorough introduction to turbine theory, preflight procedures, starting procedures, normal procedures, aircraft limitations and emergency procedures specific to the Robinson R-66 turbine helicopter. During flight, the student will begin by performing normal operating procedures. After which, abnormal and emergency procedures will be demonstrated and practiced until the pilot develops increased confidence in his ability to maneuver the aircraft safely. Standards will be determined by the Practical Test Standards (PTS) specific to the pilot certificate held.